Web search is often wasting time for you. There, I have said it. Google is a master illusionist. It makes you think you are working when you are not. The reason is simple, you can get an answer to any question within seconds. That makes it feel as though you have achieved something. Prior to Google, you may have needed to find a book, look something up in the index, locate the right page and then read it – only to find out it didn’t contain what you wanted. So, you had to choose another book. That might have needed a trip to the library. To find out one fact, it might have taken hours. Now, all it takes is seconds. Of course, in the past, the information you needed might not have been in a book. You might have needed to speak with someone. Perhaps you could only get the information from an expert. Or, if it was about a company you needed to phone them. Many companies had an “information line” – a special number you could call to speak with someone to get details you needed about the business. All of that took time. When things take a long time our perception of progress is slow. However, when we can do things rapidly our sense of achievement is heightened. So, when we use the web to search for things which we previously had to look up in a book, take a trip to the library, or make several phone calls, we get a sense of achieving something. It is a psychological illusion that we are working. It is, therefore, no surprise to discover in recent research that business buyers prefer to obtain information about suppliers using the web, rather than any other tool. According to the study from Path Factory, almost 90% of buyers use web search as their preferred method of finding information. Only one in three people opt for the telephone. That’s no surprise, either. Research from O2, the mobile phone company, found that making phone calls was only the fifth most popular use of a smartphone. It turns out that the most popular use of a mobile phone is to browse the Internet – searching for information. The problem with web search is that it is often wrong. Yet, most people accept the first result Google provides. For instance, search for “how many planets are there in our solar system” and the first result will tell you that there are eight planets. True, but not quite. Like many other facts, there are nuances which are not explained. Astronomers redefined what constitutes a planet and so our solar system contains eight planets and five “dwarf planets”, including Pluto (which was a planet when I grew up..!). Like many other “facts”, the first information we see on Google misses out the nuance. 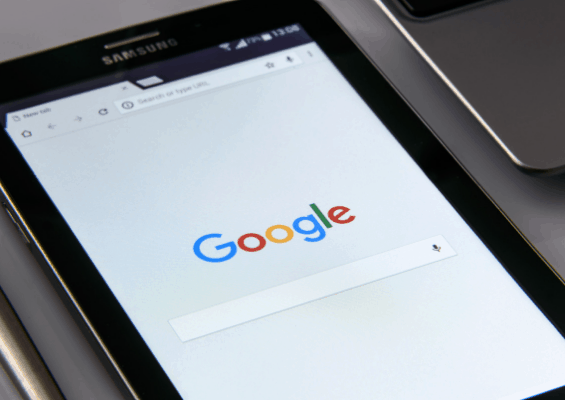 Similarly, search for “duplicate content penalty” and you will find thousands of results telling you that you cannot duplicate content on your website because “Google will ban you” or “Google will downgrade your search engine ranking” or some other nonsense. And nonsense it is. Google has said so, repeatedly. Yet, many businesses trying to make their websites optimised for search engines will spend hours and hours recrafting content in order to “remove the penalty”. That’s an activity that is wasting time on work that is unnecessary, all because of search. However, if you phoned a reliable expert on search engine optimisation you would have received the correct information about duplicating content, avoiding you hours of work. However, to make that phone call and have the conversation is slower than completing a web search and hence it feels less productive. What this means is, if you need a new supplier you could well make a better selection if you did not use web search. Pick up the phone and speak with people who know the market, such as the contacts you make in business networking. It will feel slower doing this, but the answers you get will be more informed and less prone to the influence of an algorithm. Once you have the recommendations, then use web search to find out about the company. Making phone calls is becoming a low priority activity. Your office phone rings less than it used to. You feel as though you are being productive because you search and find stuff online, but that is wasting time. You can gain support to help you become more productive with Internet Productivity Coaching.